Below we have provided many of the commonly uses forms, files, and other resources needed by the organizations and people that we serve. Simply save the resource below that you need. For forms and other paperwork, we've converted them into an Adobe PDF file unless intended uses dictates otherwise. For detailed, step-by-step instructions on how to download your desired file or resource, please scroll down. If you have any trouble downloading or using the resources, please contact our IT department at downloads@gafsis.com for assistance. You may also call us directly at (229) 432-6201. 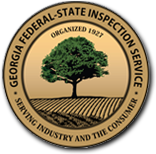 The files above are provided to you by the Information Technology department at Georgia Federal-State Inspection Service. If you run into any trouble downloading these files or have questions about their use, please contact us at http://www.gafsis.com/support.php. Right-click onto the link of the file or resource of your choice and click "Save link as...". 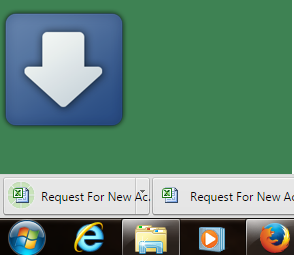 If a window appears that asks for authorization to download the file, authorize it do so. Open Windows Explorer and navigate to the folder you created in Step #1 above. CONGRATULATIONS! You have downloaded your file - Open and edit as necessary. Click the "Open Containing Folder" button and verify that your file downloaded as expected. You may also open Windows Explorer and navigate to the folder you created in Step #1 above. Right-click onto the link of the file or resource of your choice and click "Save target as...".